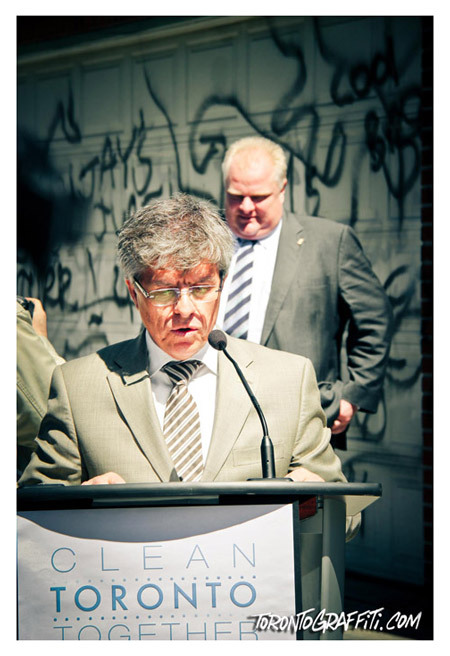 The city of Toronto officially announced their new plan for how to deal with Toronto’s “graffiti problem” on Wednesday, April 18th, 2012. Mayor Rob Ford first declared to the crowd of City staff, politicians and other on-lookers that the “war on graffiti” was still a priority and that offenders would be heavily punished. 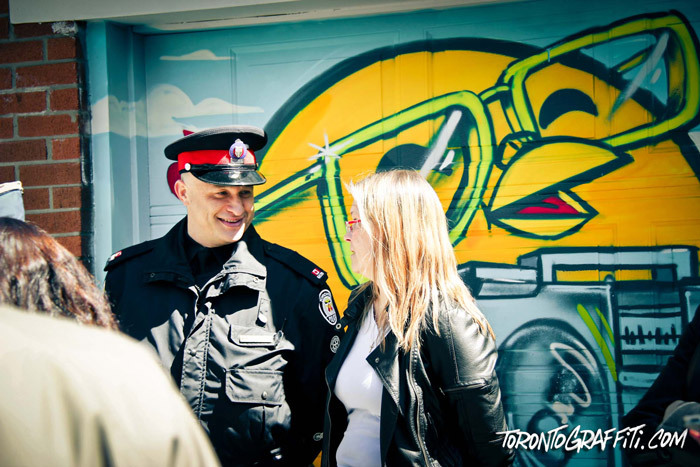 As part of this initiative, he was proud to announce that the public can download a smartphone application which allows them to report any graffiti they witness being created at that moment. Many people, such as members of the public who have been victims of tagging on their personal property, welcomed the announcement by the mayor of stiffer fines for illegal graff work and/or tagging. 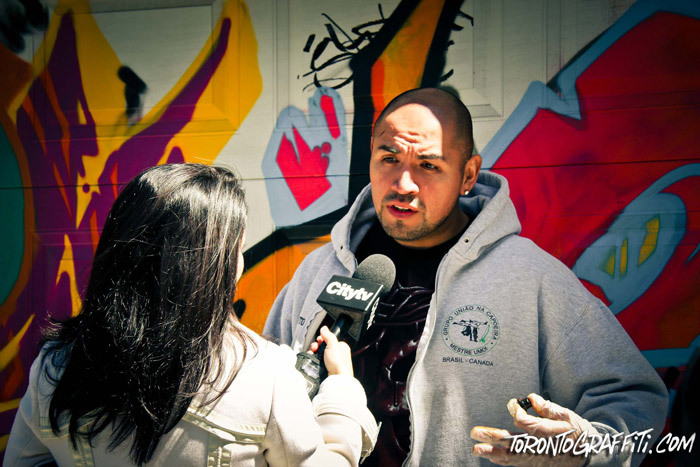 Others feel that, among other issues, it is impossible to control graffiti in a city as large as Toronto, mainly because of the fact that graffiti artists mainly work at night and keep a low profile, thereby making it difficult to catch them in the act. Regarding the smartphone application, the mayor neglected to mention that the application costs $2.00 to download. It remains to be seen how many Torontonians care that much about reporting acts of graffiti that they are willing to pay $2.00 out-of-pocket for the application. The event also served, however, to highlight a new initiative entitled Street ART Toronto, or StART, which is described as a “new, pro-active program originating out of the Graffiti Management Plan” and serves to “counteract graffiti vandalism by developing, supporting, promoting and increasing awareness of street art and its indispensable role to add beauty and character to neighbourhoods across the city”. Graffiti artists and the general public are encouraged to access the program in order to aid in the creation of “legitimate” street art, rather than other forms of graffiti, such as tagging. More information on the program can be found at stART’s city home page. Time will tell how the differentiation between “legitimate” and “illegal” forms of graffiti will in fact be characterized by the City; it will be interesting to see how this happens and if it will have a great deal of impact on already established graff writers in the city. I have long held graffiti as art, alayws in amazement at the color, unique style, and almost perfectly crafted lettering (in a language only known to the artist and select others!) as long as there is nothing offensive and it doesn’t damage property, I say let them leave their mark on the world!